 GameTracker.com - TeamSpeak 3 Banners, Forums, Status Monitors, Server Statistics and more! Get detailed Teamspeak 3 Stats & Banners by adding your server to GameTracker.com! Need a server? Check out GameServers.com for professional server hosting! EpicGames România • We are here for you !